Product prices and availability are accurate as of 2019-04-25 07:18:51 EDT and are subject to change. Any price and availability information displayed on http://www.amazon.com/ at the time of purchase will apply to the purchase of this product. 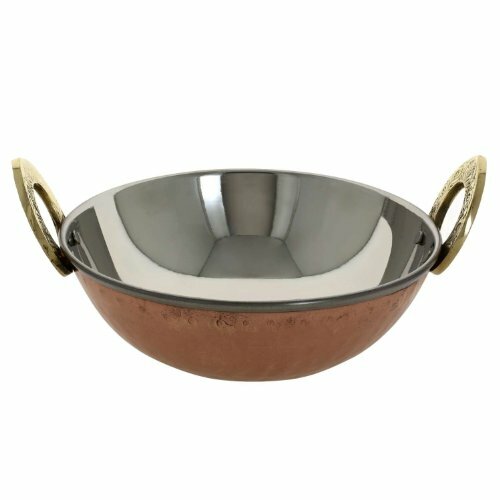 This karahi is a traditional tableware to serve Indian dishes, both dry kind like the biryanis fried vegetables or meat, as well as curry items like chicken curry or daal. Be aware that this karahi has two layers of metal, which enable it to preserve heat for longer durations. Therefore this karahi should be used only as centerpiece serveware tableware. It should never be used as a cookware. 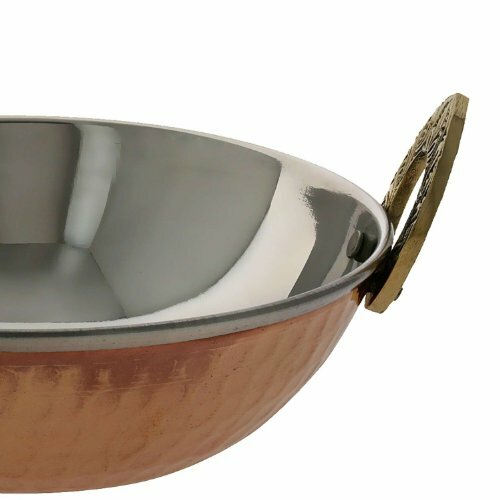 Use this karahi serving pan to enjoy an authentic Indian dining experience. 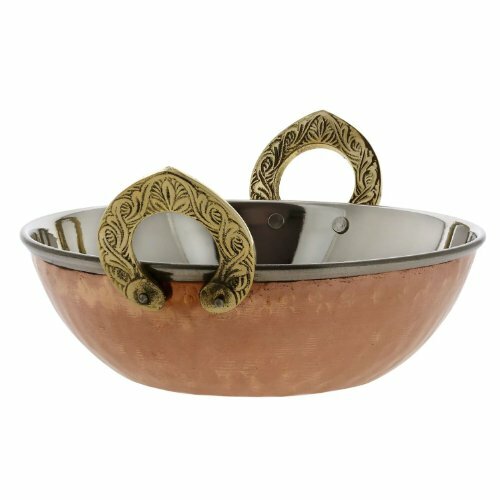 Serveware utensils karahi for serving Indian curry dishes or vegetable Diameter - 6 inches, Height - 2 inches, Weight - 350 grams, Capacity - 500 ML Easy to clean and wash, Durable as a daily serve ware set Inside stainless steel, outside copper serving karahi with brass handles This is a two layered product so cooking is not recommeneded, to be used only as serveware.